Need to stretch your apps budget? 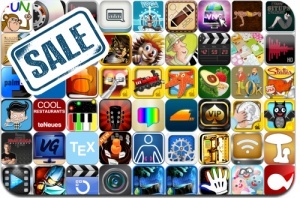 Here are 54 iPhone, iPad and iPod touch apps that just went on sale. This app deal alert includes Death at Fairing Point: A Dana Knightstone Novel, Hunters 2, Crazy Hedgy, Trainz Driver, Texas Poker VIP, Grafio, TubeBox, Little 3 Kingdoms, TTPlayer, VideoGrade, SYS Activity Manager Plus, and many others.